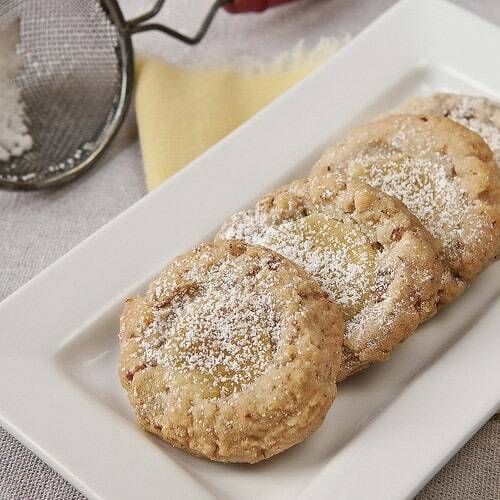 Lemon Snowdrops are a light shortbread-type cookie studded with finely chopped pecans and coated liberally with powdered sugar. Nice for cookie trays at Christmas. Don’t miss the time-saving tip at the end of this post. 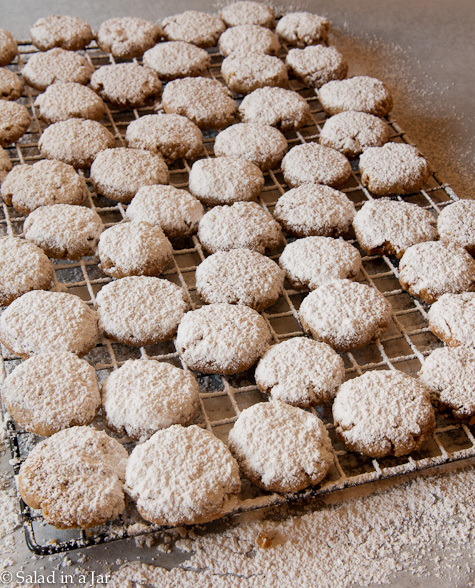 I’ll show you how I coat these cookies with powdered sugar en masse. What do you do when a friend won’t accept well-deserved payment for a service? 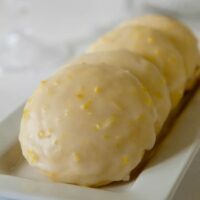 When my favorite Christmas tree decorator hinted he would accept some kind of lemon-flavored Christmas cookies as payment, I considered that my working orders. I surprised him with lemon thumbprints last year, but wanted something different this year. My tradition-following gene is apparently mutated. 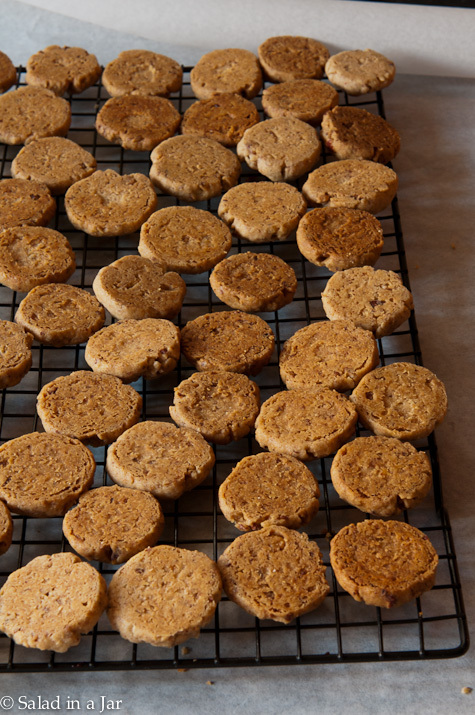 One of my favorite cookie cookbooks is Great Cookies by Carole Walter. Her recipe for Snowballs seemed like a good place to start. By all appearances, they were the same as what we called Mexican wedding cookies when I was growing up. The first change was to make them lemon-y. For lemon flavor, add one teaspoon of lemon oil. I like lemon oil better than lemon extract for a brighter, more natural, but intense lemon flavor. If you prefer, substitute 1 teaspoon grated lemon peel for a milder hint of lemon even non-lemon lovers will enjoy. Whenever recipe directions call for handling each cookie individually, I look for ways to streamline the process. What’s wrong with the old way of dipping cookies? Offload baked cookies upside down onto a cooling rack set over a piece of waxed paper. 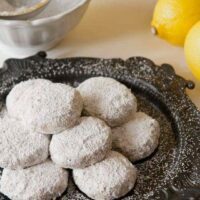 While still slightly warm, sprinkle with powdered sugar using a sieve. 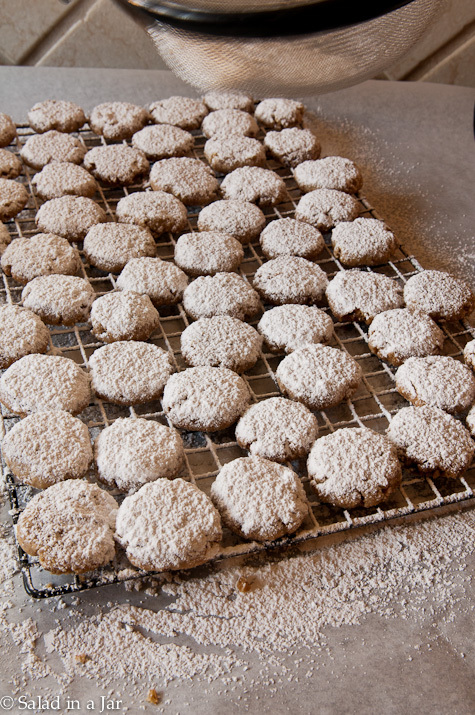 Flip them, and sprinkle top side with powdered sugar again using a sieve full of powdered sugar. Allow cookies to cool completely. Sprinkle top side for the second time using a sieve full of powdered sugar. 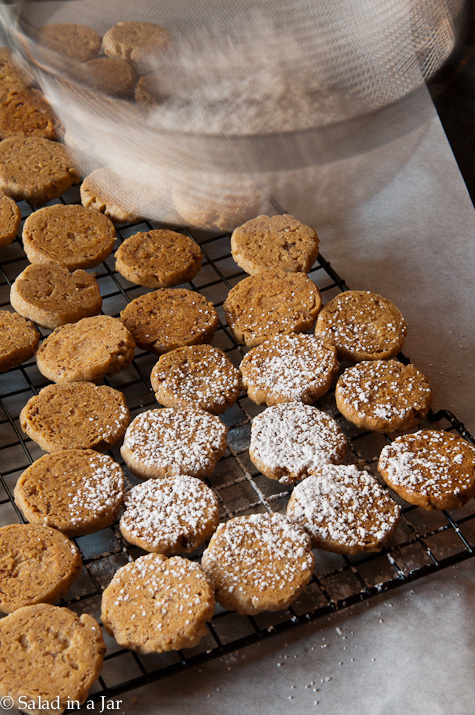 Move rack off of waxed paper and press each cookie, top-side up, into the sugar left on the paper giving the bottom a second coat. Thank-you to each of you in 2012 for your thoughtful comments, your (sometimes challenging) questions, and your continued encouragement. May God bless you with good eats and good memories during this time of celebrating Jesus Christ, our Savior. 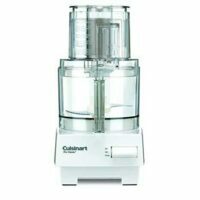 Using a food processor with a metal blade, finely chop pecans along with 1/4 cup of flour. Pulse 3 or 4 times, then process steadily for about 8 seconds. Add remaining flour and salt to pecans and again, pulse a few times until combined. Add room-temperature butter to large bowl and beat with mixer on medium-low until light and creamy. 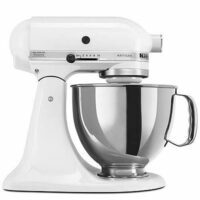 Reduce mixer speed to low and add 2 tablespoons powdered sugar, water, vanilla, and lemon oil. Add chopped pecan-flour mixture to butter mixture in 3 portions, mixing just until combined. Don't overwork. Press dough into a ball, wrap well, and chill at least 30 minutes. 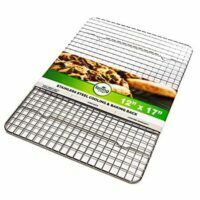 Make tablespoon-size balls and place onto lined (parchment paper or silicone mat) cookie sheets. Leave them as balls, if desired, or slightly flatten each ball with the bottom of a glass dipped in granulated sugar. Bake in preheated, 325-degree F oven 20-25 minutes or until the bottom starts to brown. Allow to cool for 5 minutes. 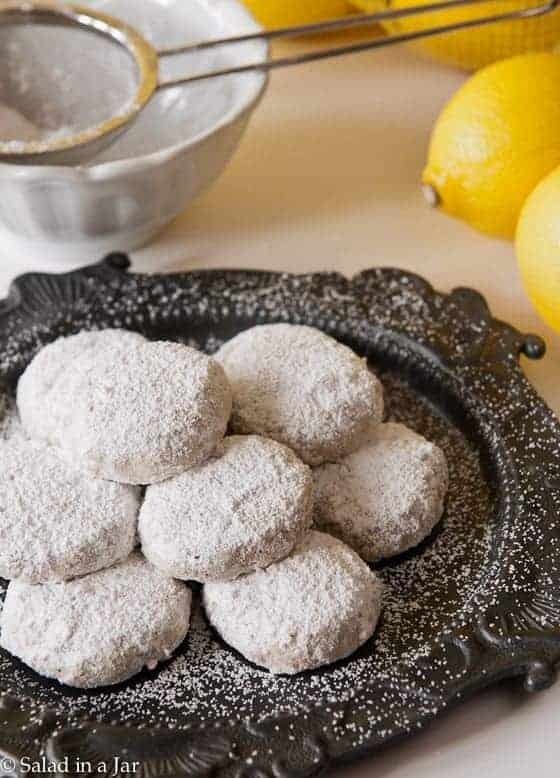 While still warm, sprinkle with powdered sugar using a sieve. 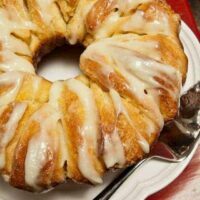 Flip them, and sprinkle top side with powdered sugar. Sprinkle top side for the second time using a sieve of powdered sugar. Store in airtight container between layers of wax paper. As an Amazon Associate, I earn from qualifying purchases. But don't worry. This doesn't change the price you pay. 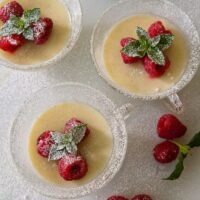 Lemon and Vanilla Bean Posset is a cool and refreshing dessert that requires no oven or complicated cooking skills. Perfect for a heavy meal or ladies' luncheon. Hi , I just found you , and I can tell you I love your blog pretty much !!! After consulting with Bonnie, I made these as a Christmas gift for my neighbor. Of course, we kept some for ourselves. They were tasty and easy. Thanks for sharing. Next, I’m trying the bacon-wrapped Jalapeno Chicken Bites. Wish I was your neighbor. 🙂 Thanks for writing. By the way, you look and speak remarkably like your adorable sister, Bonnie. She has been my dear friend for more than 20 years and ANYTHING she prepares is good. She kindly brought me some of her roasted jalapenos when she stopped by last year and I will be using some of them for the chicken bites! Keep up the good work! Snowdrop cookies are my absolute favorite! These cookies were wonderful!!! Rob decided it would be the right thing to do if he shared with the family. I finally had to move them out of site. Yummmm. All I have to say is anyone who make these won’t be disappointed! You’re the best. 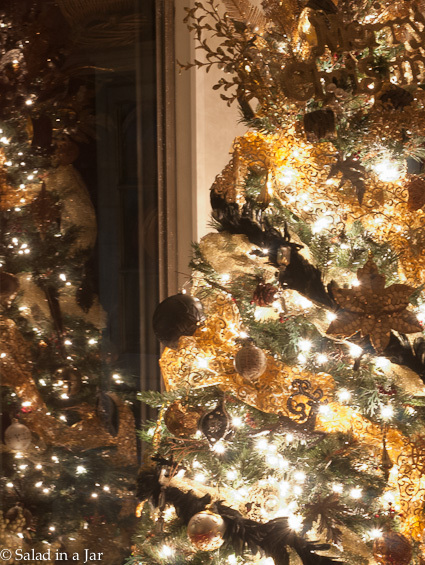 Paula, these are so yummy looking – I love your technique and I love your tree! So pretty! I want to make some cookies for Christmas for my neighbours and I think these will be perfect. Thanks for all the wonderful recipes and fun posts of the past year and I hope you and you family have a wonderful Christmas and a very happy and healthy New Year! The cookies look as beautiful as the tree!